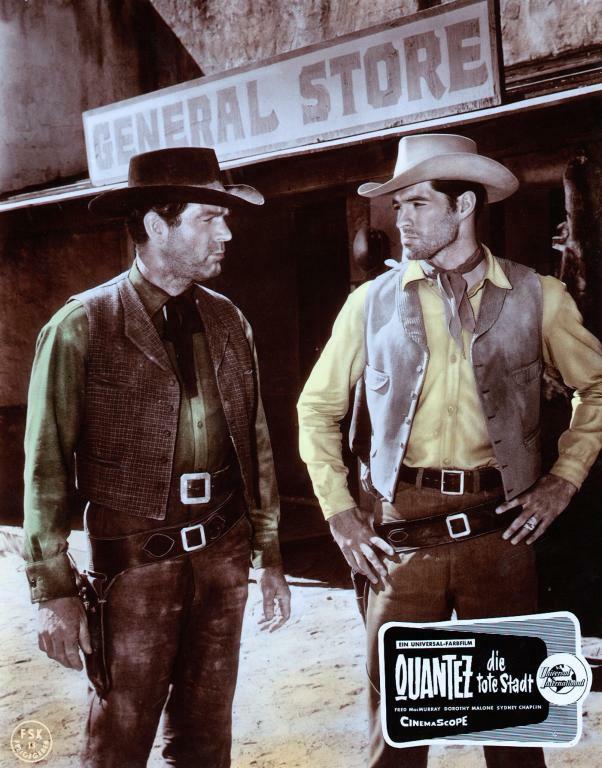 Harry Keller | 50 Westerns From The 50s. 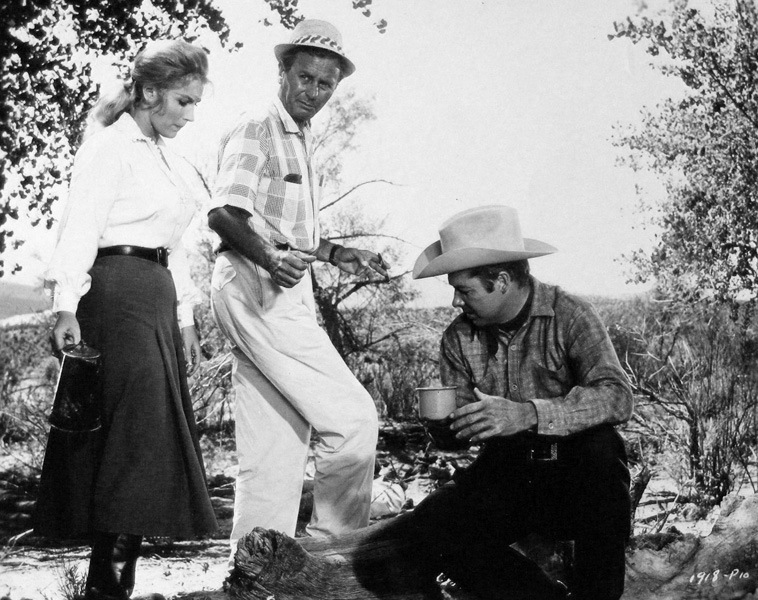 Harry Keller directing Audie Murphy and Joan O’Brien in Six Black Horses (1962). 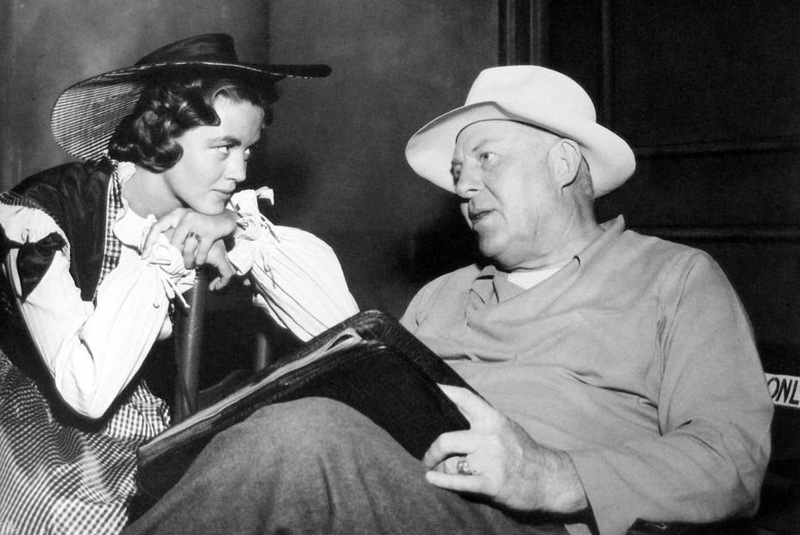 Ray Enright and Dorothy Malone on the set of South Of St. Louis (1949). 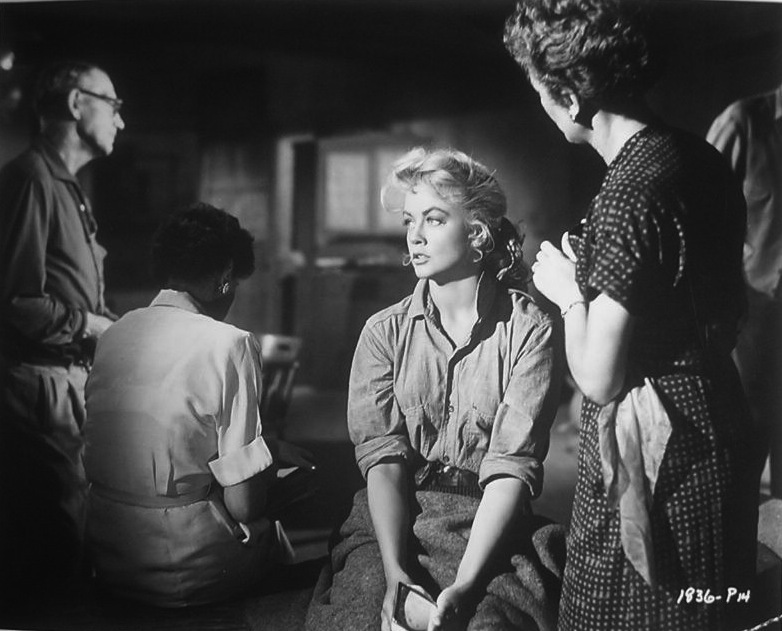 Jesse Hibbs directing Gia Scala (left) and Joanna Moore (right) in the Audie Murphy picture Ride A Crooked Trail (1958). 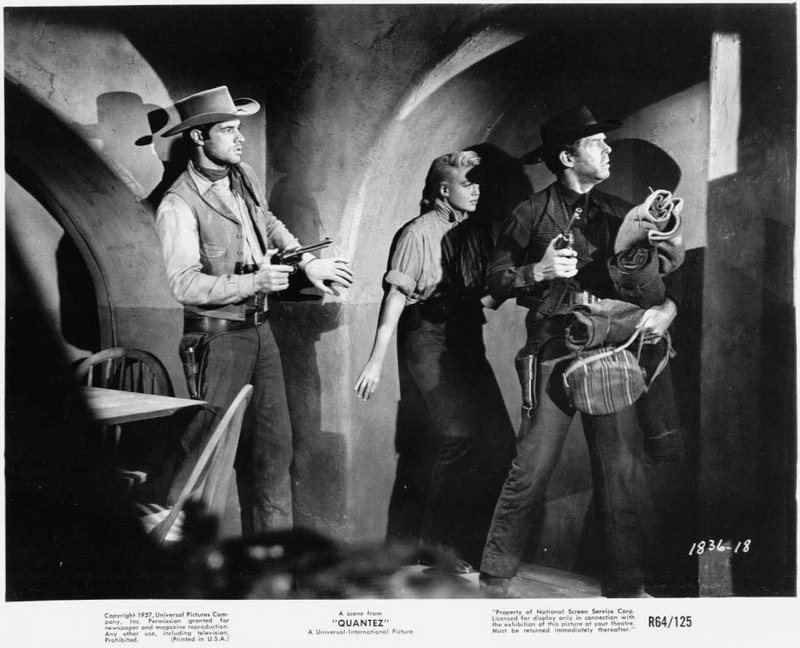 With Phantom Stallion (1954), Republic Pictures got out of the series Western business, an industry they’d come to dominate with a stable of cowboy stars second to none. Lucky for us, they go out on a positive note. This time around, Rex Allen and Slim Pickens uncover a group of horse thieves who use a wild stallion and his herd to cover their crimes. Before the Republic eagle pops up at the end, there’s a pretty good fistfight, a young Mexican boy with a philly, a murder and a lot of riding. (Rex and Slim on horseback are a great thing to see.) This picture seems a bit heavier than your typical series Western, with the violence turned up a notch, no love interest (it’s established right up front that Carla Balenda is one of the bad guys) and no songs. 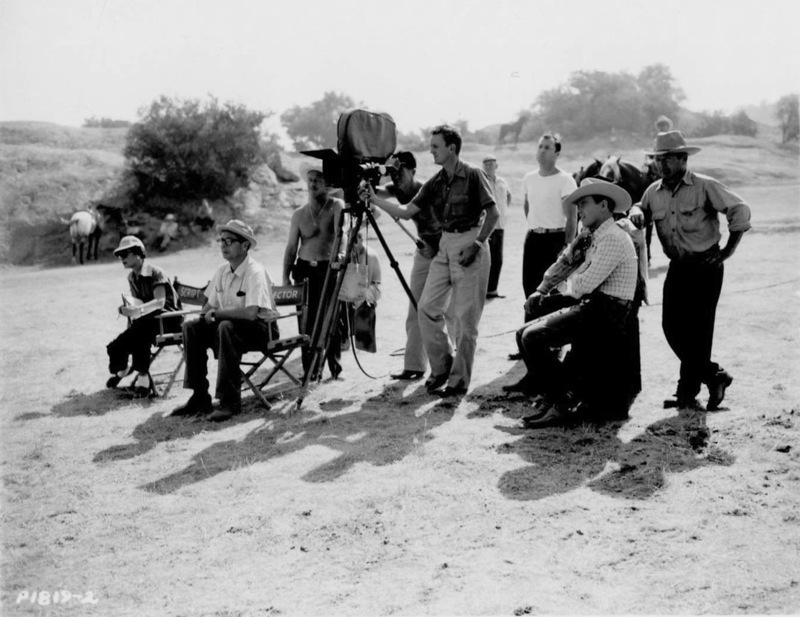 Writer Gerald Geraghty’s long Hollywood career took him from writing titles for silent pictures to scripts for Rex Allen’s Frontier Doctor TV show. He received a story credit for the delirious Gene Autry serial The Phantom Empire (1936) and wrote Trail Of Robin Hood (1950). 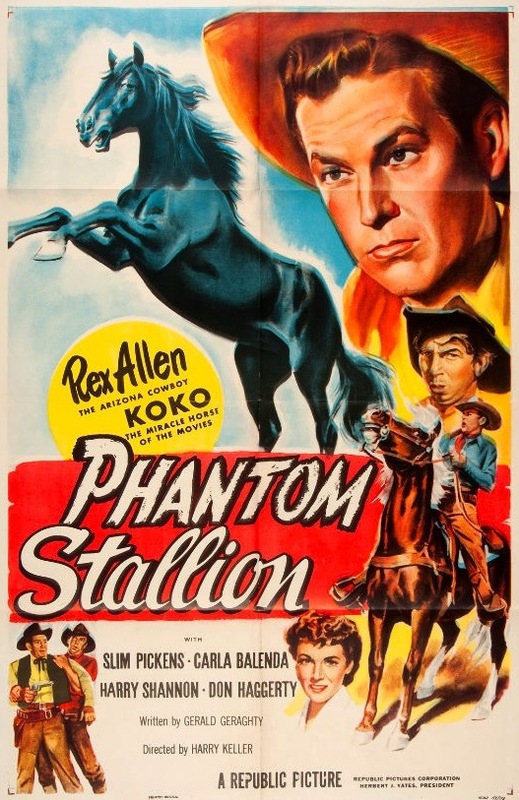 Phantom Stallion was directed by Harry Keller, who started out as an editor with dozens of Republic cowboy pictures on his resumé. By 1950, he was directing for Republic, and continued at the studio till this picture closed out their Western series in 1954. 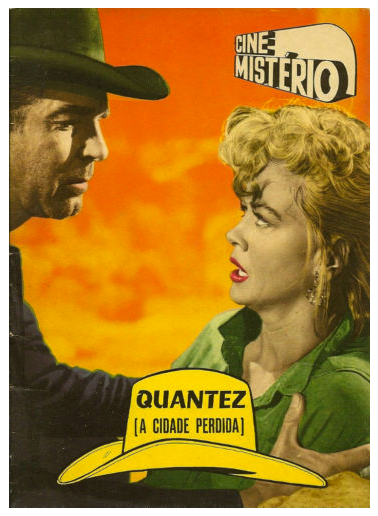 Keller was soon under contract at Universal-International, which put him in place to direct one of their best 50s Westerns, Quantez (1957). The signs of cost-cutting, a common complaint with later series Westerns, aren’t too obvious in Phantom Stallion — though some of the wild horse scenes look like they’re lifted from other pictures, and there are a lot of riding scenes in this 54 minutes. 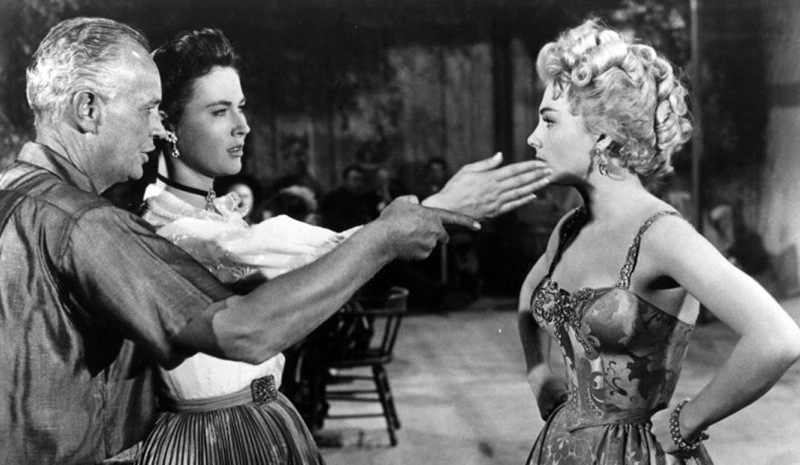 The fight scenes don’t quite have the snap of the Republics William Witney directed, such as Colorado Sundown (1952), another Rex Allen picture (and a very good one). And it seems like it’s missing an extra fight in there somewhere — the ending feels a bit too abrupt. 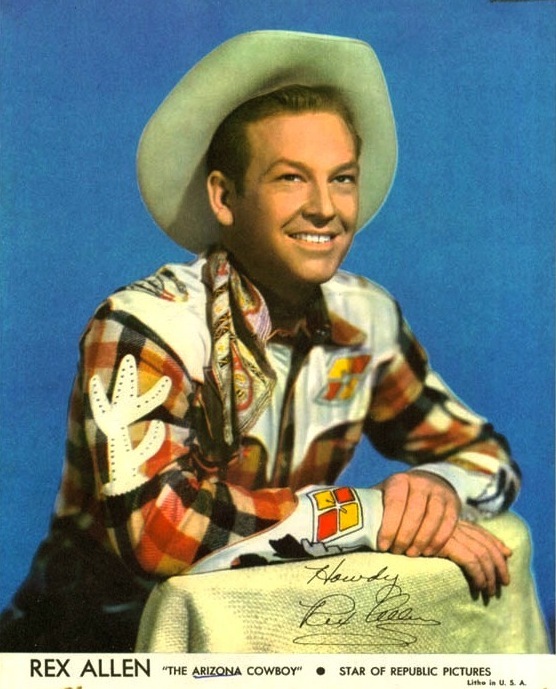 You can’t help but think that if Rex Allen had signed on at Republic a few years earlier, the Arizona Cowboy would’ve been an even bigger star. 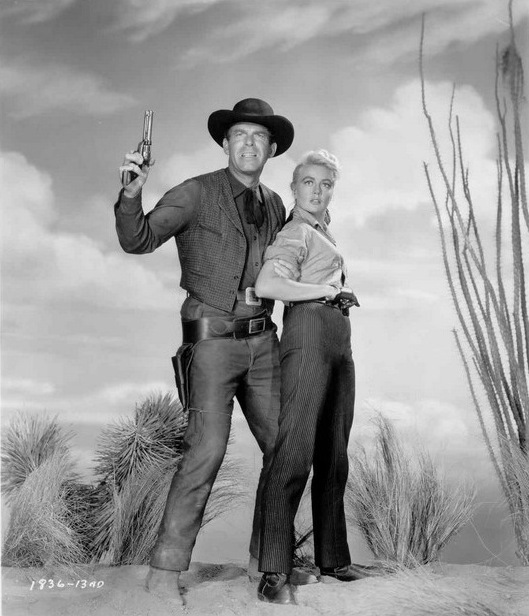 By the time he and Koko rode onscreen, the sun was setting on the series Western. But his Republics are certainly worthwhile, a respectable way for Republic to bring an era to its end. Below: Rex and crew on location for Phantom Stallion.